A bowstring jig is required in order to hand craft bowstrings from home. 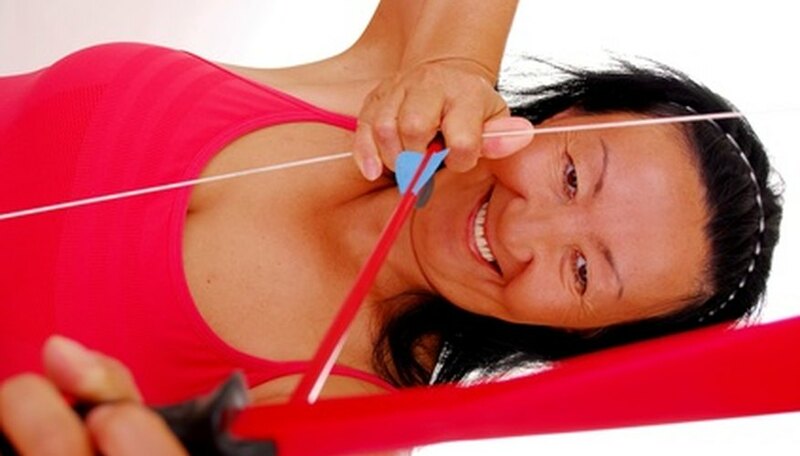 However, buying one from an archery store can be quite expensive. A few minutes of spare time and some simple materials are all you need to craft a functional bowstring jig for a fraction of the cost. Cut the 2-by-6-inch board 6 inches longer than the desired length of the bowstring. For example, if you need a 48-inch bowstring, cut the board to be 54 inches long. Use the hand drill to drill a hole 3 inches in from the end on either side of the board. The two holes should have the desired length of the bowstring in between them. Screw a nut on the very end of both bolts and slide a washer down on top of each nut. Push the end of one of the bolts through one hole on the board. Slide a washer down the bolt, on top of the board. Screw a nut down until it becomes tight against the board. Repeat this process with the other side, securing the bolt tightly to the board. Your bowstring jig is complete and ready for use. Precise measurements are crucial to this project.